Balanced vs. Juggling….Are You Tired Yet? You are 3 steps from real balance. Busy? Hectic? Running on half a tank of fuel? How are you going to get everything done? Energy is part of our vital life force. Without energy we don’t do much, we literally slow down and sometimes even, shut down. If you are running on barely enough personal energy, you fall out of balance and could be displaying your moody grumpy side, your stressed. Your balance is affected by your energy level. You can still change your mood and find balance, your not stuck. Balanced mind = balanced life. Today is your day to make a change. Your energy/mood is affected by 3 main functions in your mind. We will share with you and train you on what these are and how to make that “upgrade” so that you can have more balance and less juggling. Ready to be more balanced? Kirk & Kim Duncan love serving together as Speakers and Mentors. They created 3 Key Elements, a Global Training & Mentoring company, to support them in their mission. Their mission is simple; find the treasures of life and guide others to find them, too. They have strong roots in the Value of Relationships, balancing Personal Energy and creating a Life of Order. Come aboard our great ship Ascension sailing for the 5th dimension. Captain Christ says, “Don’t worry about your baggage, you won’t need it where we are going, everything you need will be provided.” In this class Wendi will reveal the constructs of the 3rd, 4th and 5th Dimension. Prepare yourself for turbulence up ahead, things are not what you expected. Hope and excitement are on the horizon. Learn how the human family is finally consciously prepared to sustain the spiritual shift approaching the planet and how you can gracefully move in to 5th dimensional consciousness. The journey takes us deep within, mining for the shadow scripts, navigating the anatomy of the spirit and uncovering your sacred mission. What role are you being led to play as we begin the journey of ushering in the new millennium? All aboard! 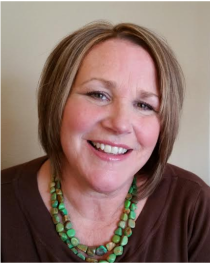 Wendi Jensen has been a student and facilitator of energy work for the past 14 years. Her journey began as a Rapid Eye Tech and Life Skills Coach in 2002. In this field she discovered her specific gift to ask relevant questions to bypass the ego constructs and reverse the corrupted files in the subconscious programming that keep us from our full potential. Wendi is 28 years married to her best friend Richard. She is the mother of 5 children and 2 grandchildren. She home schooled her children for 10 years and taught Shakespeare and Youth Leadership training courses. 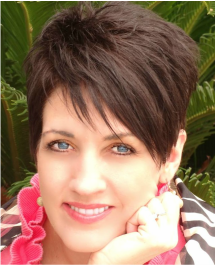 She has her private coaching practice in Mesa AZ and speaks to audiences on a variety of topics including energy work, mental health, supporting family through faith crisis, finding your ministry, leadership and Emotional Freedom Technique. 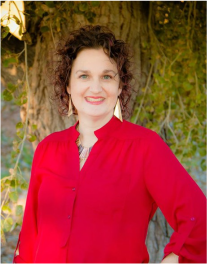 She is the author of the ground breaking energy healing resource The Healing Questions Guide and other tools to help you become your own health facilitator. She is also the co-trainer with Linda Leigh Johnson for the online A Body of Light 8 week training. Her mission is to prepare women as emissaries of light to fully embody their sacred calling. From his more than 20 years practice as a holistic physician, Dr. Bradley Nelson has discerned that the vast majority of physical pain, disease and mental and emotional problems his patients suffered was rooted in trapped emotions, the unseen emotional baggage we all carry from hurtful life experiences. Modern science increasingly verifies a truth that runs through ancient healing systems: The mind and body are inextricably connected, with our thoughts and emotions exerting a powerful influence on our health. 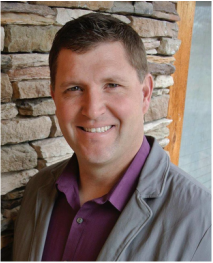 Probing the frontiers of our ability to heal physical and mental disease through "emotional surgery," Dr. Bradley Nelson is one of the world's foremost experts in the emerging fields of bio-energetic medicine and energy psychology. Learn how to help yourself and your loved ones have a happier, healthy, more abundant life! ​What can you do when doctors are not available? How can you assist yourself and your loved ones with health challenges that seem unsurpassable or or incurable? Learn what the most common underlying imbalances are that drives all symptoms, conditions, diseases, and lack of abundance. The Body Code allows us to fill in the blanks by giving us a very simple way to identify what these are, where they come from, and most important of all, how to rid the body of them. Do you seek after protection from outside sources which are seeking to destroy you, your marriage, your family and everything you have ever cared about? Are you looking for ways to strengthen your relationship with Jesus Christ and God, the Eternal Father? Building a fortress of strength is the answer! Learn hands on tools to fortify your spirit and of those you most love. The battle is ensuing. Are you ready? Tammy Ward is the President of Hope Haven Events. They host conferences, (ahem, this one-- for example) retreats, trainings and specialty events to help "empower the individual, strengthen the family and connect community." She is a homeschooling mother to 8 awesome kids ages 1 to 17 years. 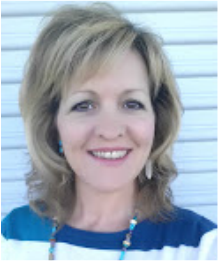 Tammy's heart first turned to Christ-centered energy healing when her son received a miraculous healing about 3 years ago. She is careful to follow the spirit and stay close to her Savior and believe that this is another great divine tool from God. Tammy has a deep love for her brother, Jesus. She is super excited to bring these events to the world and is best known for being a fun and inspirational mover and shaker! She has learned a great deal from her real life experiences with natural healing, miracles, and in overcoming addictions by trusting Heavenly Father and her Savior, Jesus Christ. 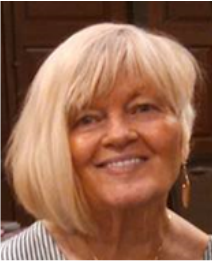 She is a certified in many energy healing modalities and has graduated from many different mentoring experiences. Right now, she is having fun and learning a lot while personally mentoring with Kirk Duncan from 3 Key Elements. Are you looking for ways to overcome money blocks, create the life you desire and literally become an instrument for God? This class will teach you some powerful techniques on how to do just that! 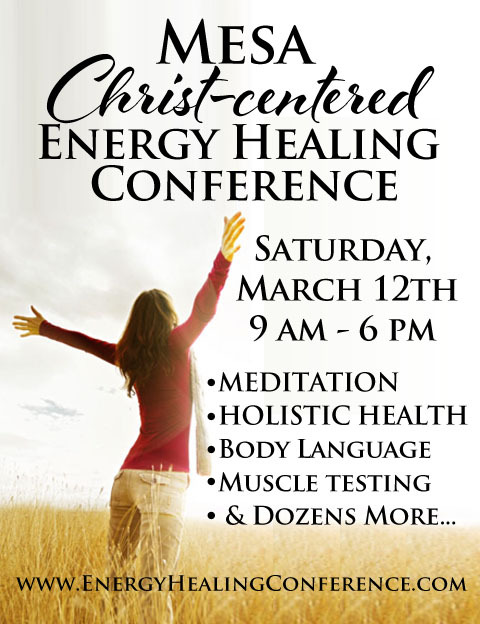 What does it take to be a successful Christ Centered Energy Healer? Over the past 10 years of practice I’ve discovered a few essential ingredients for effective Christ centered energy healing. One of the most important is FAITH. In this class we will discuss this vital component, breaking down what it is, how to use it and create an environment for it to grow and flourish. Faith, along with the other essential ingredients, creates a powerful combination to help you be the most inspired, proficient and confident energy healer you can be! Charlotte Varble is a licensed massage and energy therapist, speaker, mentor, author and the founder of Wellness Inspired. 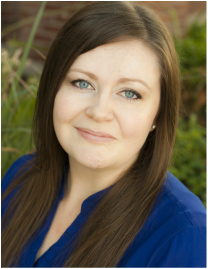 She has been practicing as a massage and energy therapist since 2005 and integrates several modalities for a thorough, inspired healing. Charlotte is very passionate about what she does. She deeply loves the people she serves and has a strong spiritual center. She has dedicated her life to helping individuals to heal at the core level of their physical or emotional pain for long lasting, true healing. 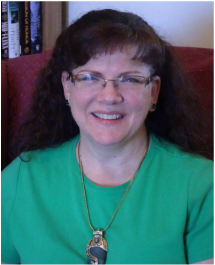 Charlotte is the creator of several audios centered around the principles of healing, strengthening spirituality and truly living an inspired life. 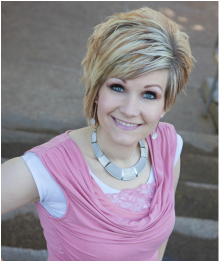 She is the author of the book, “Becoming Spiritually Strong.” When she’s not performing healing sessions or teaching, you'll find Charlotte caring for her 4 young children and spending time with her handsome husband Kevin. We all experience frequent loss in our lives. Learn about the Mindsets of Loss, and how it differs from the Grief Cycle by understanding avoidance, bargaining, denial, anger, and depression and how these relate to True Self, Exiles, Managers and Firefighters. Comprehending and releasing these bring us to acceptance. Nathan Reynolds Since May 2014, Nathan and his wife, Ila, completed Steve Brinton's Muscle Testing Academy, Tam Pendleton's Healer's Blueprint Workshop, Courtney Beardall's Investigating Health, Rick Hopkin's God's Loving Healing Hands, and are currently in Saskia Stallings’ Awakening to Your Spiritual Gifts Group Mentoring class. Their two daughters love learning alongside them. Healing doesn't always have to be serious. Come spend some time playing a few simple healing games that you can do at home with your children. They are designed to help both you and them develop the sensitivity and awareness needed to work with energy and fix the unavoidable booboos that happen at home. 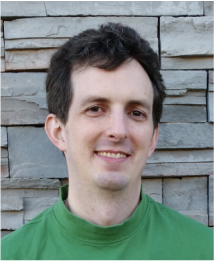 Robert Gardner RCST® has been engaged with Qigong, Tai Chi, and Meditation since 1996 both as a student and as a teacher (Sifu) with his own Kung Fu and Tai Chi school in Arizona. He is also a certified Qigong Healer and Biodynamic Craniosacral Therapist. Last year he published his first book on the subject ﻿of energy healing entitled, Is That Even Possible: The Nuts and Bolts of Energy Healing for the Curious, Wary, and Totally Bewildered. Muscle Testing, also known as Applied Kinesiology, is a simple and effective way to communicate with your body and subconscious mind. When fully understood the art of muscle testing can assist you in identifying imbalances, stuck energy, finding the best match of nutritional supplements in the grocery store, and much more! Come and learn the basics of muscle testing, including hands-on instruction, and receive a quick energetic calibration to clear out any blocks you may have keeping you from fully connecting with your muscle testing abilities. 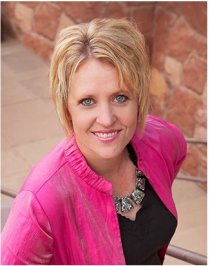 Holly Buhler is the owner of Eutopia Wellness. 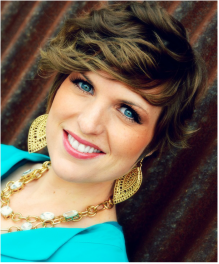 She is a Certified SimplyHealed™ Practitioner, teacher, and intuitive mentor. She has a passion for learning, sharing the knowledge she has gained in her 10+ years in the holistic health field, as well as assisting individuals in finding and loving their authentic self. Her gifts allow her to see the gifts in others and clear out the low vibrations that keep them from fully stepping into their personal power and divine purpose. one on our side to lift us up. What we do not realize is that all around us are legions of support surrounding and protecting us as we walk through our day. Ann Washburn has come to recognize the angels that surround us all on our journey and how we can draw upon these heavenly hosts to feel of their presence and know with surety that we are not alone. Learn from Ann and her experiences about how you too can gain support and love from the angels that are a part of your personal guard who walk with you on your journey. Ann Washburn is a dynamic and inspiring Mentor, Trainer and Body Language Expert and Keynote Speaker for 3 Key Elements, Inc. Her life experience and varied skills bring uncommon insight and understanding to influence the lives of thousands to expand their potential and reach new heights. Ann brings warmth and enthusiasm to her classes by engaging her audience with real-life stories and effective, workable tools. She creates a safe environment of mutual respect, where students can learn the tools to remove self-imposed blocks, transform their income, heal and build stronger relationships, and develop powerful communication skills. She and her husband have been happily married for 23 years and they are the parents of 5 incredible children. Ann is a Mechanical Engineer with experience working in flight simulation and explosives. Her interests are varied; she enjoys competitive sports, enjoying the outdoors and spending time with her family. Ann is fluent in French, is a certified lifeguard, has flown a Cessna, and holds a black belt in Hap Ki Do. 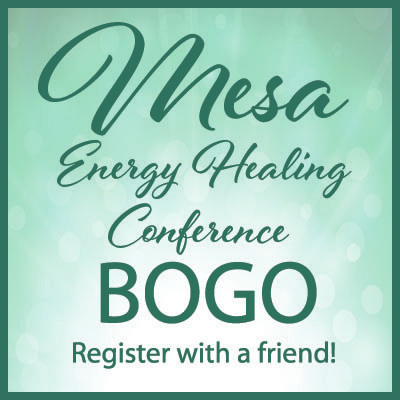 Have you ever wanted to experience energy healing, but have felt unsure about it, or had questions? This class will involve energy healing first hand so you can experience it and learn in the process. Emotional Freedoms Techniques, or EFT (often known as Tapping), is a universal healing tool that can provide impressive results for physical, emotional, and performance issues. EFT operates on the premise that no matter what part of your life needs improvement, there are unresolved emotional issues in the way. This class assumes a working knowledge of EFT and is considered intermediate level. You will learn Tearless Trauma, Tell the Story, and the Movie Technique. Take your understanding of EFT to the next level. Dawn Norton is a wife, mother, and grandmother. Dawn’s in depth personal studies spans nearly 30 years focusing on growth in alternative health, wellness, nutrition, herbs, healing, personal development, and many other topics. 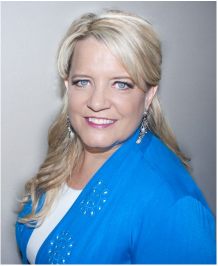 That study has led her to becoming trained or certified as an EFT practitioner (9 years), a certified Lifestyle Educator (Metagenics), and an Intentional Creation Coach with Og Mandino. The heart is a key to our healing - science is demonstrating the importance and the impact the energy and brain-like activity of the heart plays in our healing, happiness, intuition, relationships and wellness. Out of our current health care crisis, is the emergence of a new model of healing. Stop managing disease and partner with your health care provider to create real health. Dr. Drew Christensen, MD loves spending time outdoors cycling, hiking, camping, and enjoying life with his wife, four children and grand-baby. 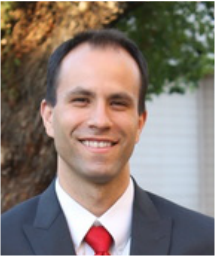 With a passion to see patients achieve optimal health, he pursued board certification in Holistic and Integrative Medicine and certification in Functional Medicine. 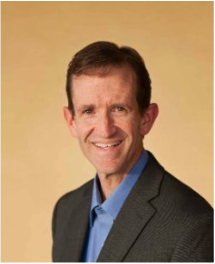 With a desire to share these new tools in a personalized, patient-centered environment, Dr. Christensen left his traditional family medicine practice of 18 years and opened a functional medicine center, Living Health MD. His passion is now is applying “The Heart of Healing” in helping his patients rediscover their greatness. 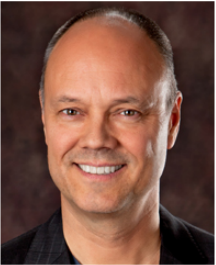 Bill Barney became fascinated with Energy Medicine in 1976 and now specializes in 18 different Healing Modalities. He believes healing takes place from the inside out. Most health problems and challenges in our lives are caused by emotional blockages and forgiveness issues. He is an Intuitive Healer and loves to empower others to master their Life, Relationships and Health. Kris has developed her 7 Traits to Create Your Thriving Life. When you fully embrace the 7 Traits, you will feel Peace, Love and Joy at levels you did not even know existed! As you live ﻿your life from Impeccable Integrity, Sincere Service and Genuine Gratitude rather than Imperfect Integrity, Simple Service and Generic Gratitude you will be Amazed at the immediate results in your life! Your relationships will improve, your productivity and abundance will soar and you will align with your life’s purpose and passion! These Simple yet Profound Traits will immediately change your life! 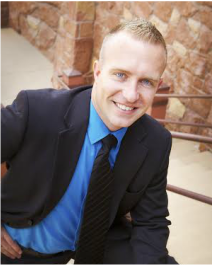 Kris Barney is an Inspiring Speaker, Dynamic Trainer and an Exceptional Mentor. She has the knowledge, experience and expertise to strengthen, and empower others to trust, love and believe in themselves. Kris specializes in conquering life’s challenges while strengthening and healing relationships, creating balance and confidence to live a joyful, rewarding and purpose filled life of Love, Joy and Peace. Crystal Connections, Another of Heaven's Tools God’s earth is a healing, vibrating earth, which includes crystals, minerals, and stones. When a crystal vibrates at its oscillating frequency within our personal energy field, the physical law of resonance tells us this creates a larger vibrational field affecting the body. These connecting vibrations may harmonize frequencies and stimulate biochemical shifts affecting physical n mental health in a positive, healing way. Colors and musical tones are also part of this spectrum. Discover these amazing tools from "Nature's Pharmacy", which the Lord has given for our benefit. Julia Frost, CAA, HHP. In searching for answers for her own family's health challenges, she has studied nutrition, herbalism, essential oils, and energy work over the past eleven years. She looks for Christ connection in all these things, seeing them as gifts from heaven to further enlarge one's personal tool box. With these synergistic tools, she has found them to generate health, wellness, and wholeness. On her journey, Julia taught classes on essential oils and alternative therapies at SouthWest Herb. She has trained in several energy healing modalities including EFT, Quantum Touch, and Investigating Health, among others. This class is all about experiencing various energy healing methods that you can use to help you in your healing journey. Learn how to stop an emotion in its tracks and prevent it from becoming trapped in your body. Subjects we will be engaging include body language, visualizations, sound therapy using Tibetan and crystal bowls, kundalini yoga, the power of prayer and faith, and how to become an active creator in your life. Come and sample these various methods taught from a Christ centered approach to see what resonates with you! 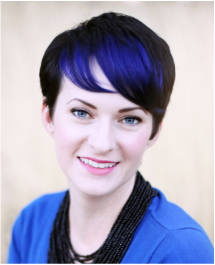 Sheena Curtis is a teacher, mentor, and certified Investigating Health practitioner. She received her BS in Exercise Science from Brigham Young University because of her passion for learning about these glorious bodies created for us. Her goal with her energy work practice, Harmonizing Your Health, is to help everyone work towards achieving more harmony in all aspects of their lives, come unto Christ, and experience greater joy. Laura Lofgreen’s mission is shared in three distinct ideas: the spiritual realities of abortion, overcoming sexual abuse and learning to see our bodies through the eyes of God. With over a million hits on her blog My Dear Trash Lofgreen examines these topics and others through the journey of writing. 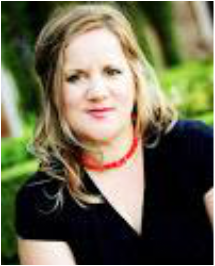 In 2012, she co-wrote The Memory Catcher (Spring Creek Books 2012); the true story of researcher Sarah Hinze and what prebirth experiences teach us about God, children and abortion. In 2014, she founded project: USED; a movement for 1 out of 3 girls who is sexually abused and how vintage dresses are raising awareness. Most recently, Lofgreen’s weight-loss journey is documented in her soon-to-be-published memoir: Starving Girl – a perpetual dieter’s 30-day experience with the miracle of intermittent fasting and the unorthodox answers she received about overcoming food addiction. Lofgreen is married to the love of her life Derek and together they have six beautiful children, five boys and one precious little girl – all named after Arizona towns. Once you accept that you are loved, that you are magnificent and beautiful, your divine blueprint is extended into your world, unfolding a life of abundance, joy and well-being. This class will illustrate a scale of consciousness that will reveal your frequency and liberate your soul from old scripts of unworthiness and anxiety. This enables your body of light to experience higher states of being..
Linda Leigh Johnson was a student of Edmond Bordeaux Szekely, the great translator of the Dead Scrolls and the ancient manuscripts of the Essenes, who were fifth dimensional people. Linda is well versed in these teachings, the nature of the mind, and accessing the wisdom of the Divine. Linda also teaches "the Enneagram", "Integrating Awareness with Being", and “A Body of Light Course. She is an author of several books including "Live Food Health", "You Are The Radiance", "Abundance Realized", and "Living in the Presence of Now". Linda is a Soul Facilitator assisting people to release old scripts. She has taught meditation and spiritual studies in minimum and maximum security State prisons. For seven years Linda was previously involved in Conflict Resolution and Citizen Diplomacy in the former Soviet Union and South Africa where she was a guest of the South African President. Linda Leigh's purpose is facilitating in the Great Awakening that is happening now. In this new higher frequency field we are discovering our Magnificence and that we have a voice for God and a Divine Destiny. In this class David shares his personal experience of being healed of migraines through forgiveness. Forgiveness is not only for the other person it is for us. Forgiveness. It has the power to heal. Letting go of the burden that we place upon ourselves allows us to heal. This is a true principle of freedom. Holding onto a burden shows up in our body language. Forgiveness is required to be able to move forward. Come to this class to learn how to find the piece that you need to forgive and action step to let go. If you want to have freedom from the past and step boldly into the future this class is for you. David Sanford is a unique Body Language Expert, Mentor, Trainer. He LOVES to share with others. He has Mentored Mothers, Doctors, Coaches, Business Owners, Teachers, Managers, Energy Healers, Sales people and other Individuals that want to connect and fine tune their communication skills with themselves and others. David is madly in love with his wife of 17 years, and has been blessed by three amazing children. 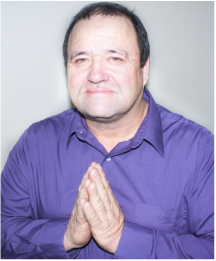 David’s Passion is helping people find Answers and Solutions or Gifts and Talents so that they can reach their fullest potential, and live on Purpose. He began Success inMotion in 2014 to bring to light this mission.